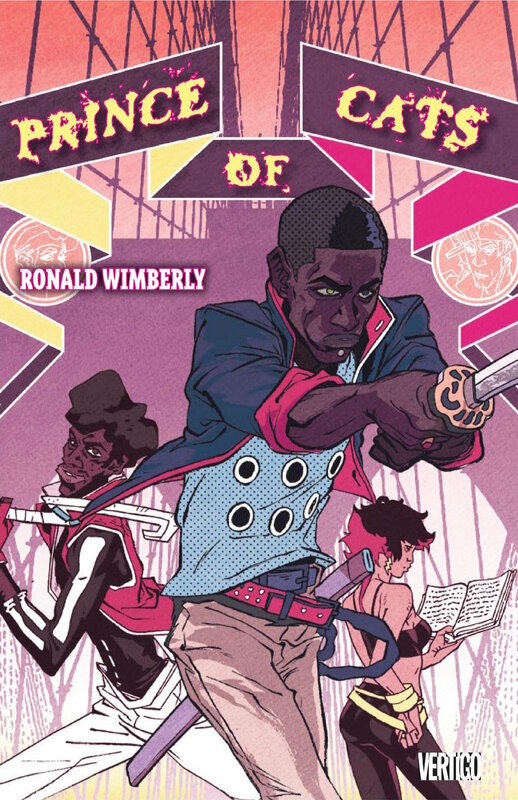 You may have heard of Ronald Wimberly. Perhaps you discovered him through The Nib when they published “Lighten Up,” in which he discusses being told by an X-Men editor to lighten a character’s skin, and then elaborates on the complexity of skin tone, race, ethnicity, and mainstream comics’ narrow view on the subject. Maybe you’re a Tumblr user, and you came across his work via one of the many projects he’s teasing and developing on that platform—Martyr Loser King (with Saul Williams), Gratuitous Ninja, or the various works on D3.14, his art blog. 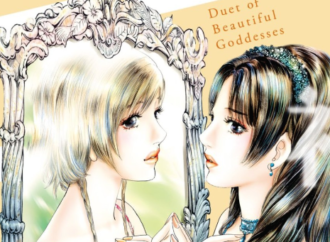 You might have had a magical moment in a library or a bookstore when you laid your hands on Prince of Cats, Wimberly’s remix of Romeo and Juliet. 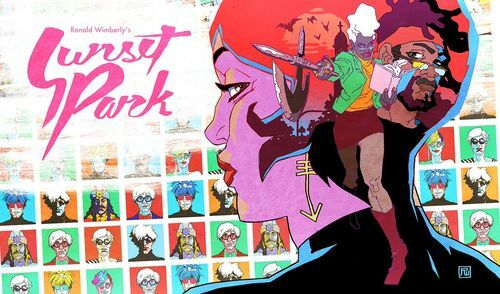 Regardless of your point of entry, if you’ve experienced his work before, you’re aware of at least one thing: Ron Wimberly is the kind of artist whose work sets you on fire. Wimberly’s got some impressive credits to his name. 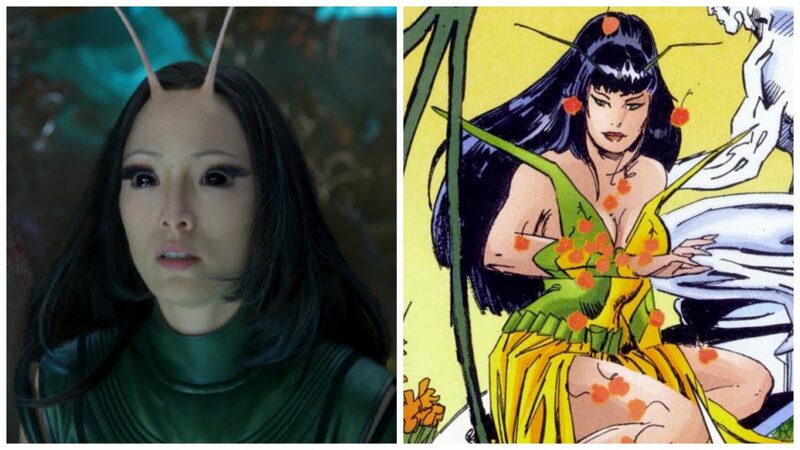 In addition to X-Men he’s worked on titles such as She-Hulk and Lucifer. 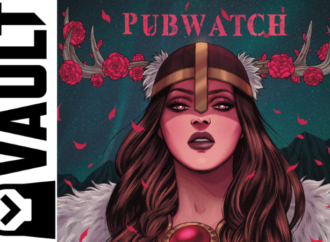 However, it’s his creator-owned work that sets him apart. Released in 2012 through Vertigo, Prince of Cats was his first solo work released by a mainstream publisher. Set in Brooklyn Babel, New York, the book follows Tybalt as he returns home from boarding school to seek revenge for his friend Petruchio, slain by Romeo. 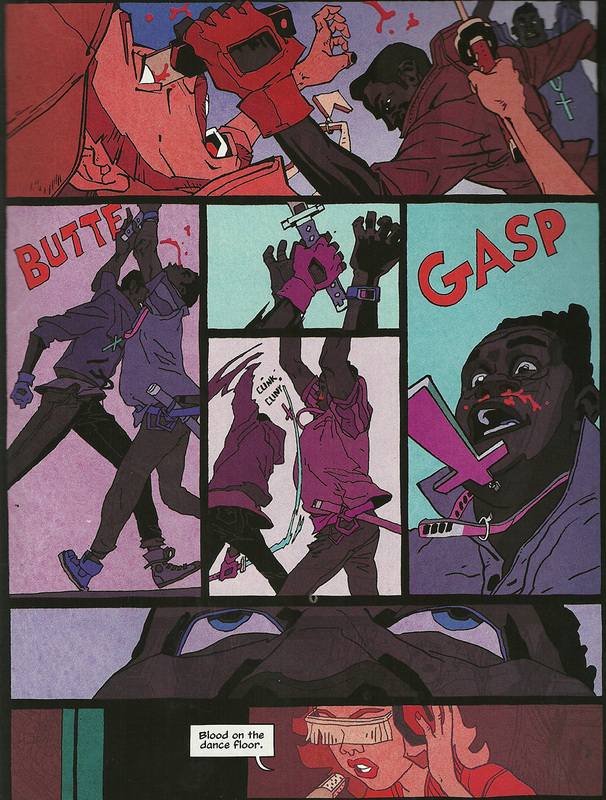 In another artists’ hands the wild mix of elements—Elizabethan poetry, action scenes reminiscent of Japanese samurai film, graffiti art, and bright, neon 80s fashion—could be a mess, but in Wimberly’s they become a look at a man who is grieving through violence. Wimberly’s more recent projects highlight his understanding of the potential comics have to make powerful political statements. In addition to Lighten Up, The New Yorker recently published “Ten Years After,” a gorgeous, two-page watercolor comic in which Wimberly recalls visiting New Orleans ten years post-Katrina and talking to artists and friends about how the gentrification that came in the storm’s wake is edging people away from their homes. The comic swiftly captures the passion, love, disappointment and resignation of these people as they watch their city change. That eyebrow says so much! Nothing happens in a vacuum. 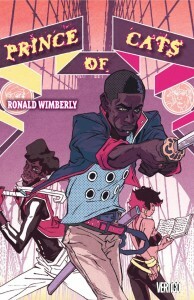 Wimberly’s gift is that he not only draws connections between disparate styles like Shakespeare, yakuza style gang-fighting, and the hip hop arts, but also reminds readers that the complications before them are, in one way or another, part of everyone’s life. 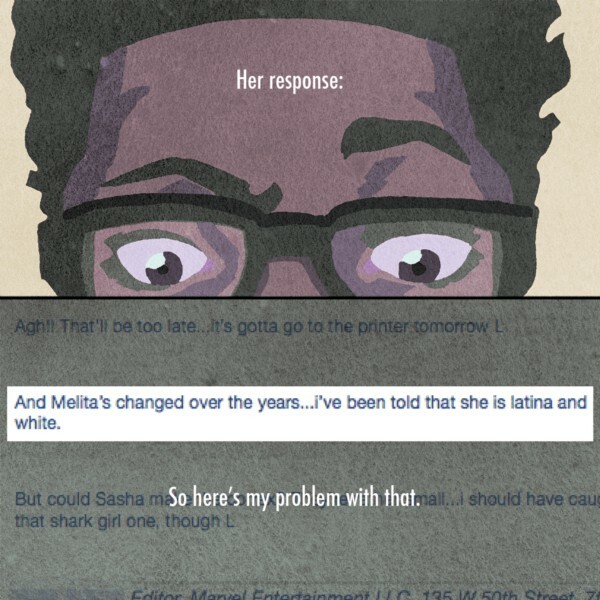 If the Latina characters in the comic you’re reading all bear the same, very light skin tone, then there is a problem, and as a consumer you are part of that problem. Similarly, if the neighborhood on your screen is changing in a way that disconnects people from their homes and makes their existence more painful, you are connected to that neighborhood—whether it’s as a possible gentrifier, a victim of gentrification, a bystander, or a suddenly aware reader. 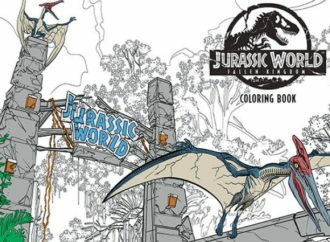 What’s most exciting about these comics, however, is that they tell us we too can raise our voices or our pens, and be part of conversations and solutions. Even on a crowded dance floor, you follow the fight. Simply glancing at “Ten Years After” or flipping through Prince of Cats quickly reveals Wimberly’s incredible skill as a colorist and illustrator. Even during it’s high-energy, bloody fight scenes, the action in Prince of Cats is easy to follow and visually engaging. 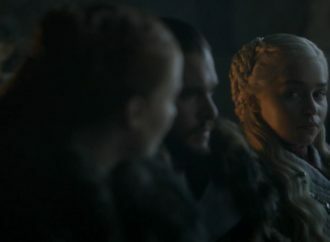 Where his skill truly shines, however, is in his characters’ facial expressions. 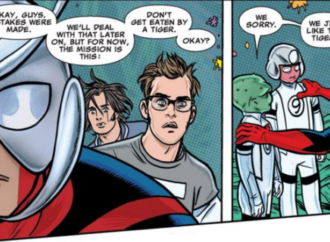 You can see this in the panel of “Lighten Up” where Wimberly raises an eyebrow over his computer screen, or in the final panel of “The Alarmist,” a short comic from his art tumblr; his characters’ feelings are written all over their faces. Sunset Park teaser image from Image Comics. The limits of genre are very much at play in much of Wimberly’s work; Prince of Cats, for example, uses poetic language to push at how words and pictures interact in comics. Through action scenes and his extraordinary color work, he also reminds readers that film, theater and comics all influence each other. With Sunset Park, Wimberly will have to marry the restrictive epistolary style of Dracula with the dynamism of comics. The result is bound to be incredible. 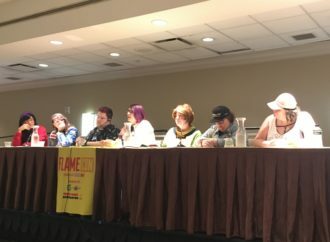 I am excited for creators who are aware of the problems within the comic industry, and who are ready to critique and challenge it. I am excited for creators who both break and obey genre rules in order to fully explore what comics can do. 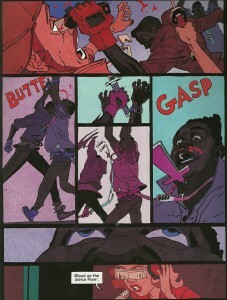 I am excited to see more from Ron Wimberly, and you should be, too.